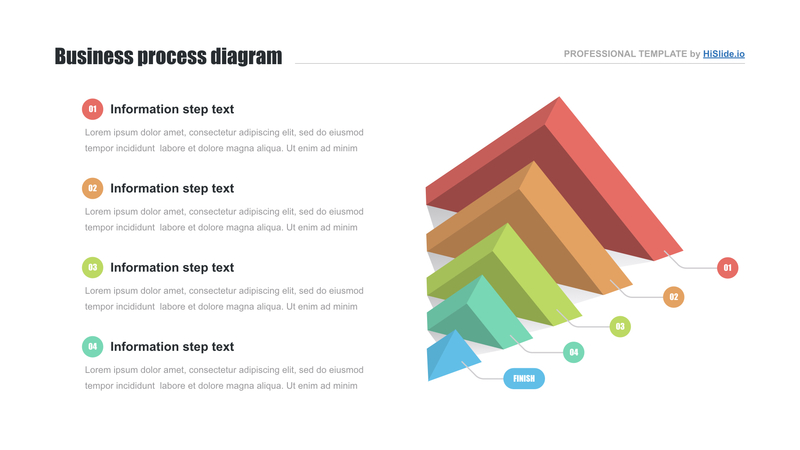 Business process chart template for Keynote - Hislide.io - Free Download! 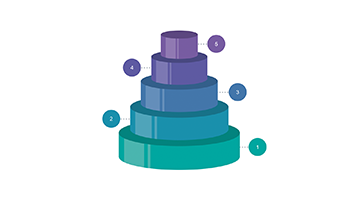 What is the business process chart template for Keynote for? 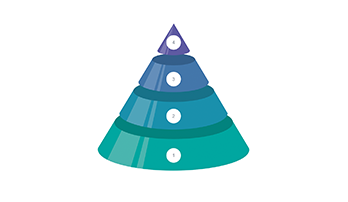 The composition of the business process chart template for Keynote looks like a creative chart in the form of a triangle with the text block. On the sample, you see 5-segment 3D chart, each segment of which is multicolored; and the text line of the same color corresponds to the part of the element. High quality. Visual material that is used to visualize a speech serves as an image-maker for every speaker. Judging by a presentation, the listeners assess a speaker’s skills. 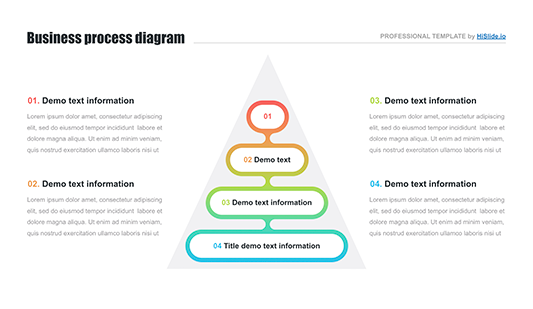 This business process graphics template will be an excellent demonstration of your professionalism. The element looks perfect on any device and is free of defects. Multipurpose slide. This global business process slide is designed for marketing and business. The element can be added to reports, analyses as well as other projects and web presentations. Easy-to-use premade element. A great number of office employees choose this business process chart template for Keynote for their projects. The slide does not only simplify work but also makes it quicker and more efficient. Users create reports and presentations in a few minutes.